It happens every day in retail (hotels, flights, internet purchases, etc). You don't always get the purchase confirmation you expect. You don't get the reassurances and clarity of information you need at the right time within your customer journey. What could change that? RedMailer is the online ONE2ONE email solution for your customer contact needs. 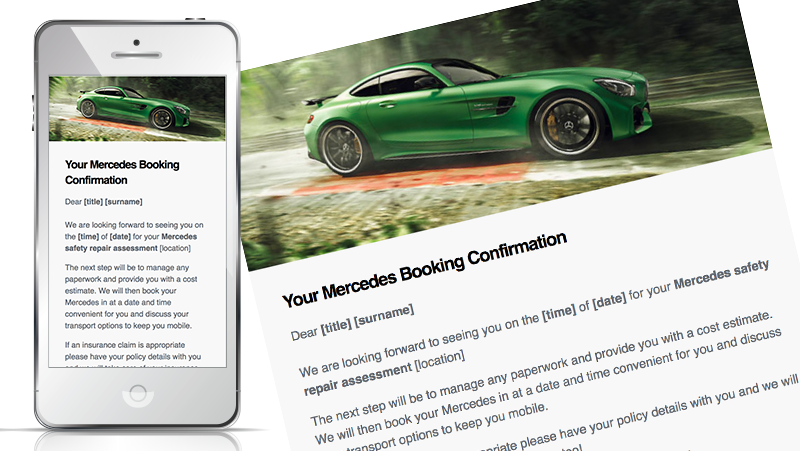 We know you need a cohesive platform that can deliver bespoke and customer specific emails quickly, keeping your customers fully updated with professional correspondence that promotes the company image you want. 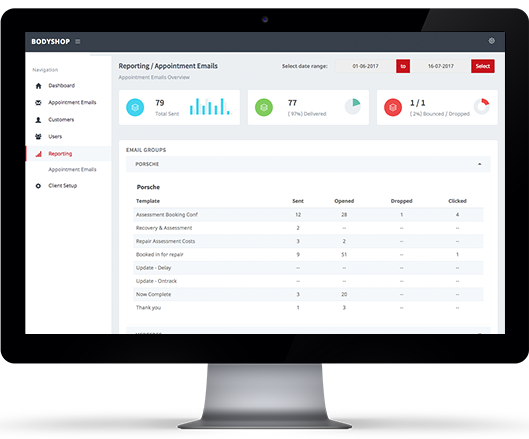 The result is less admin time, better informed advisors, happier customers and piece of mind with a reporting suite to allow you to monitor how both advisors and customers are engaging with your RedMailer System. Red Mailer allows your advisors to send specific branded response emails to customer in under 10 seconds - keeping customers informed whilst maximising staff efficiently. 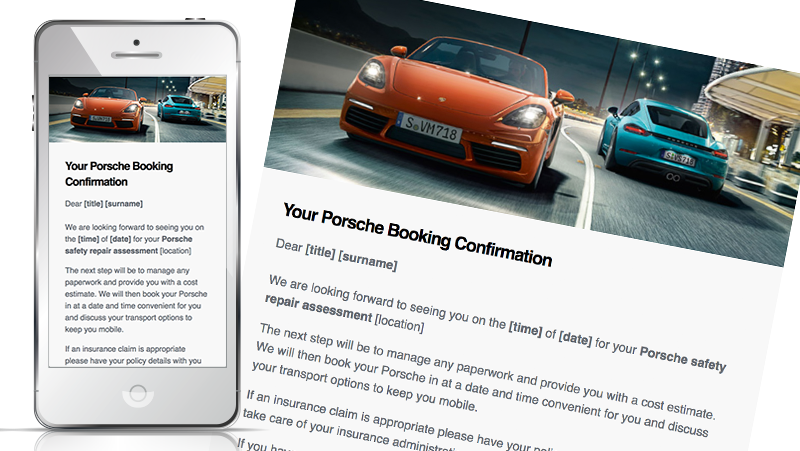 Bespoke ONE2ONE email templates designed for your companies specific customer journey. Send customer bookings, assessment, progress reports and thank you feedback emails at the click of a mouse. We can report activity by brand, by email type and by team member. Reporting provides the daily snapshot of activity or select a date range. Our pricing is based on your business specification. It will be clear with NO cost for singular email sends, nor size of your database. RedMailer is unique, focusing on both ONE2ONE Customer Journey communications as well as sending volume marketing campaigns to your customers. We can build additional Bodyshops or Dealerships locations into just one RedMailer system for you. We avoid duplication or distribution of costs across departments within a single business, so you don’t have to pay more than you need to. RedMailer is a unique and bespoke for each independent Body & Paint Centre and provides a very high level of consistency and importantly customer reassurances throughout the entire customer journey. The RedMailer feedback from independent Body & Paint Centres is first class! I'm able to fit RedMailer in to my tasks very easily without it distracting me. What I really enjoy is that I can see if customers have read it. It saves time chasing people up. The biggest advantage is that I can send the initial appointment confirmation quickly while I am on the phone to them rather than inputting their information afterwards. I love RedMailer. Once the customer details are entered at the start, it's so simple. Customers are reading and responding to emails we send. Our open rates are fantastic when you look at reporting, customers are opening straight away. We are receiving a lot more feedback direct from the customer.